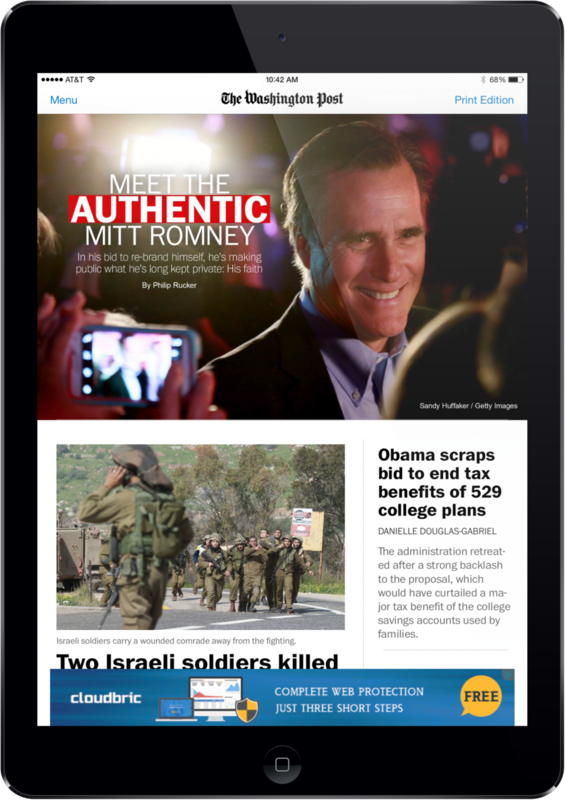 Provided visual and UI design for the Post's redesign of their iPad app. These were the key principles I took into refreshing the Post's iPad app. Worked in an agile framework with iOS developers to produce an app that allowed big visuals to shine, introduced a scroll paradigm and a more tablet-friendly scroll UI. Created wireframes and the visual design of the app and worked with developers to prototype quickly and test through TestFlight. Conducted user testing sessions and bug bashes to invite feedback and produce the highest quality app possible. Also worked with the print design team on creating documentation and providing guidance for the creation and workflow of the top "panels," or main visual image on each section front. Held informational sessions on best workflow practices in creating and saving for editors and worked with the print design director to distribute templates to designers in each section.